As news headlines continually show, cybercrime is growing rapidly, and absolutely no organization is safe. Recently, Accenture found that there has been a 27.4% increase in annual data breaches. Interestingly, 66% of organizations believe that their internal cybersecurity capabilities are sufficient to protect against threats, yet 80% of those same companies say they have been breached within the past 12 months (the average cost of a data breach just topped $3.86 million-2018). These statistics and an increased awareness of cyber threats has made IT security a much higher priority in the eyes of business C-suite leadership and even company board of directors. Add to that fact, digital transformation is happening quickly across every industry. As companies move to new technologies such as SD-WAN and are connecting their networks to powerful cloud services and ecosystems, the results are improved customer interactions, better marketing, and faster strategy decisions by executives since they’re better able to utilize the data gathered from every portion of their network. This dramatic transformation, however, without a solid plan, can produce vulnerabilities and open doors to cyberthreats. Going virtual has its challenges, so companies of all sizes should consider working with a dedicated security provider and security consultant. These valuable resources offer up-to-date, expert guidance on plans, products, and services to protect an organization’s network, customers, and revenue. As your partner in this complex and sometimes daunting area of cybersecurity, CarrierBid will recommend and bring in an external security consultancy team from our 180+ supplier portfolio that can help evaluate the right solutions for your company’s unique environment. As you prepare and educate yourself, please review the common questions to ask when considering a security provider and also the available security product list below. Keep in mind that our services are free of charge to our clients, so please let us help you focus on cybersecurity rather than on reputation repair. What is their level of experience? What is their reputation in the marketplace? Should I choose “Pure Players” (a different provider for each security service)? Should I choose a single provider with multiple capabilities? Does the provider have partnerships with government agencies to share information? Can the provider complete a full and detailed risk assessment of my network? Can the supplier provide cloud, network and premis based security solutions? Does the supplier have visibility across the entire stack? Can the supplier deploy Managed Trusted Internet Protocol (MTIPs) ports? Does the supplier offer comprehensive 24x7x365 monitoring and incident response? CarrierBid will assist you as you as you navigate the complexities of these options and will bring the proper technical resources to the table which will enable you to make the best, most informed decision to drive your business higher.We’ve been in business since 2006–use our experience and intellectual property and we’ll assist and advise you with a comprehensive approach. Whatever options you choose, the great news is that each of the solutions are customizable for each individual business requirement that you may have. 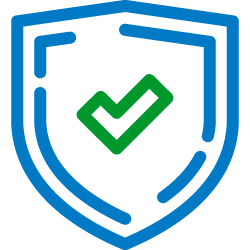 We have over 180 carriers and service providers to help you execute your mission to secure your business from cyberthreats and protect your valuable customers. For immediate service, or to schedule an initial consultation, please call or fill out the form below and an expert will contact you right away.